Whiskey Red's provides 2-Hour Parking Validation for patrons. Escape with Whiskey Red’s picturesque backdrop – perfect for any occasion. 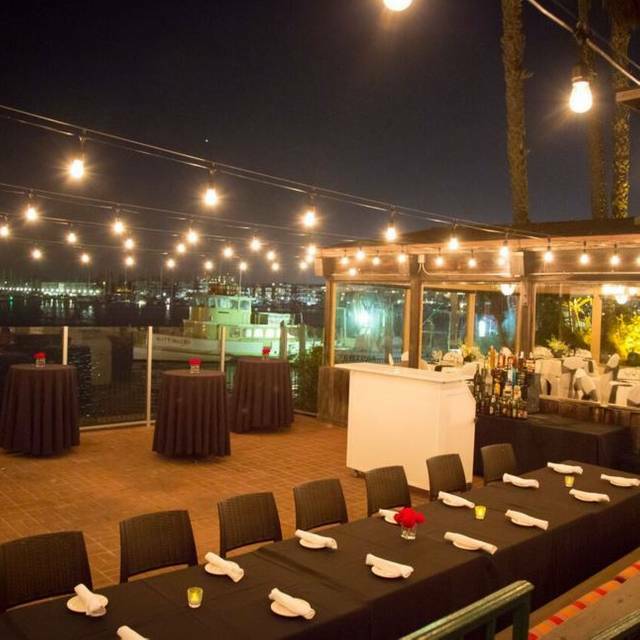 Surrounded by lush, tropical foliage and situated right on the Pacific, Whiskey Red’s boasts the largest patio in the marina with breathtaking views of the bay, fire-side dining, koi fish ponds, towering waterfalls, specialty whiskey cocktails, sophisticated seafood dishes and renowned events planning. Please contact whiskeyredscatering@srcmail.com to book your event. We look forward to sharing in your celebration! 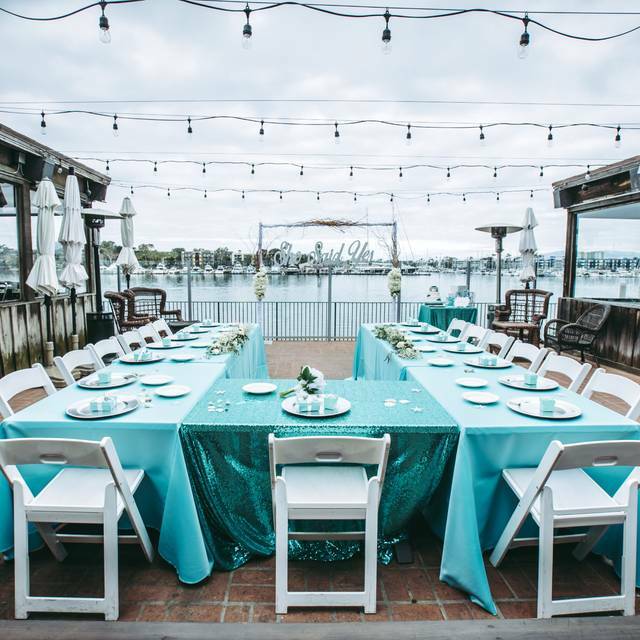 Whiskey Red's is proud to partner with SRC Event Group, one of southern California’s leading event production companies. SRC Event Group specializes in custom catering menus, detailed coordination and innovative design services for off-site corporate and social events. Please contact events@srcmail.com for more details. 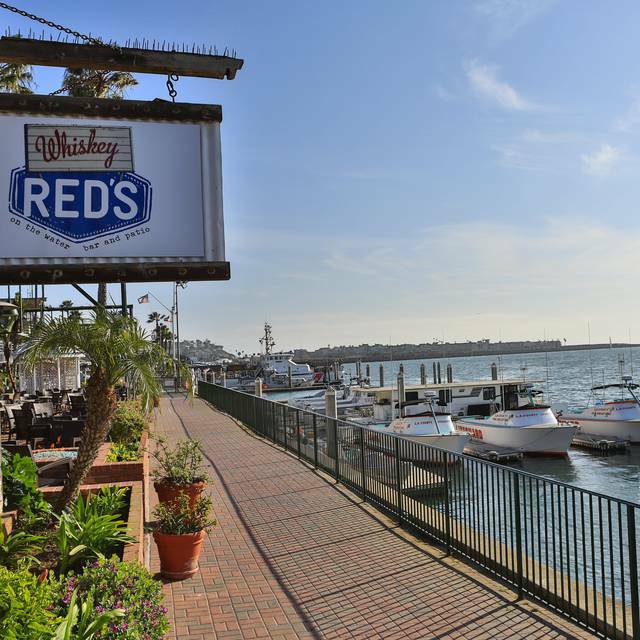 With its spectacular marina view, Whiskey Red’s is the ideal location for your next Wedding, Private Party, Rehearsal Dinner, Birthday, Anniversary and Corporate Event. We offer full-service, one-stop planning to ensure that your event is executed with excellence and sophistication. 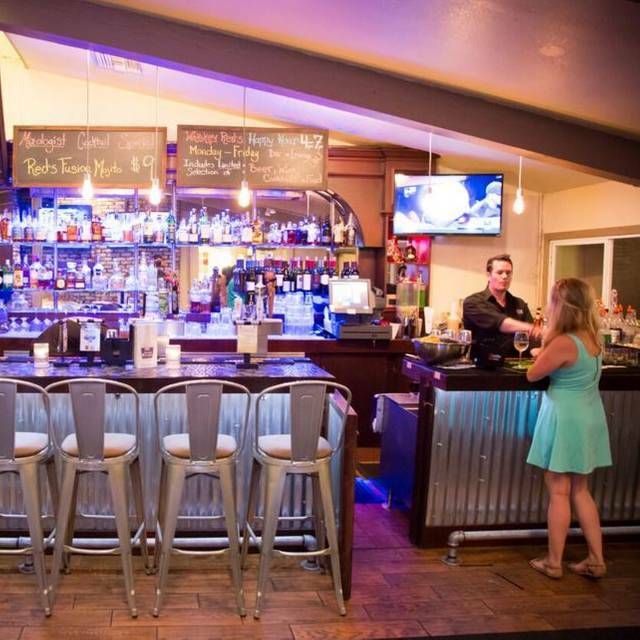 Whiskey Red's has been voted "The Best of the West" by the local Argonaut newspaper and Best Brunch by Zagat LA. 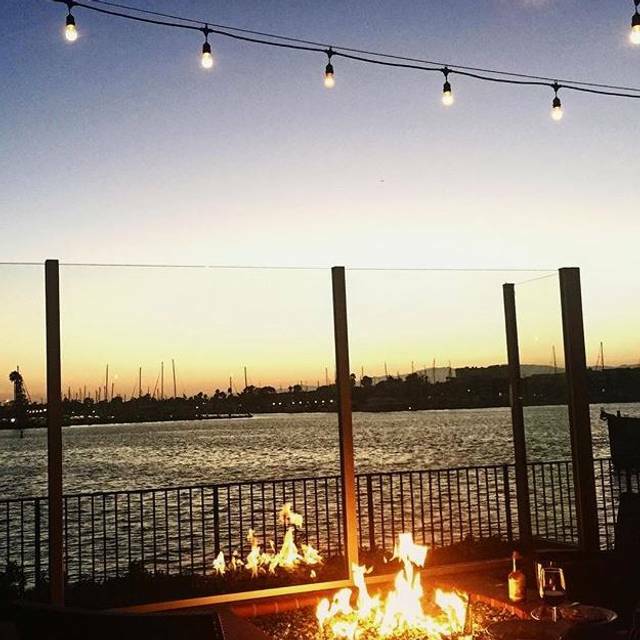 Known for its spectacular 180-degree views of the Marina Del Rey Harbor and inspired by the wonders of the sea, Whiskey Red's offers fresh seafood, casual fare and amazing sunsets in a relaxed, coastal atmosphere. 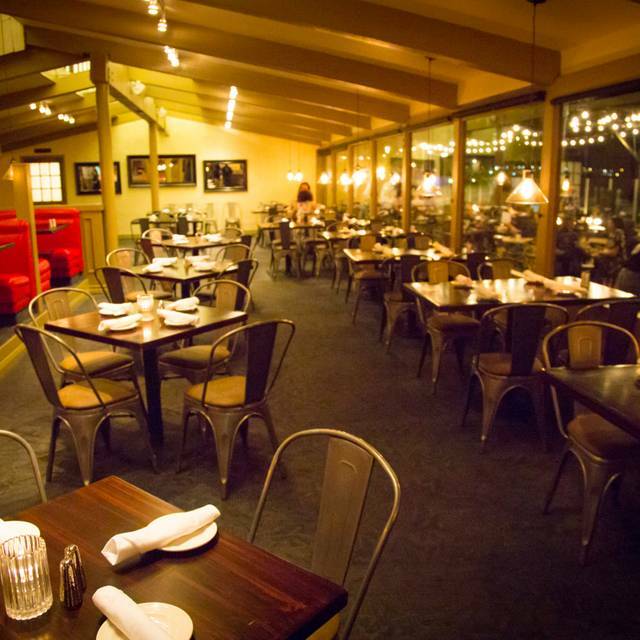 The restaurant has fireside dining on its stunning outdoor patio and delectable brunch, lunch and dinner offerings such as Seasonal Fresh Oysters, Pan-Seared Local Halibut, Bone-In Ribeye, as well as handcrafted whiskey libations. 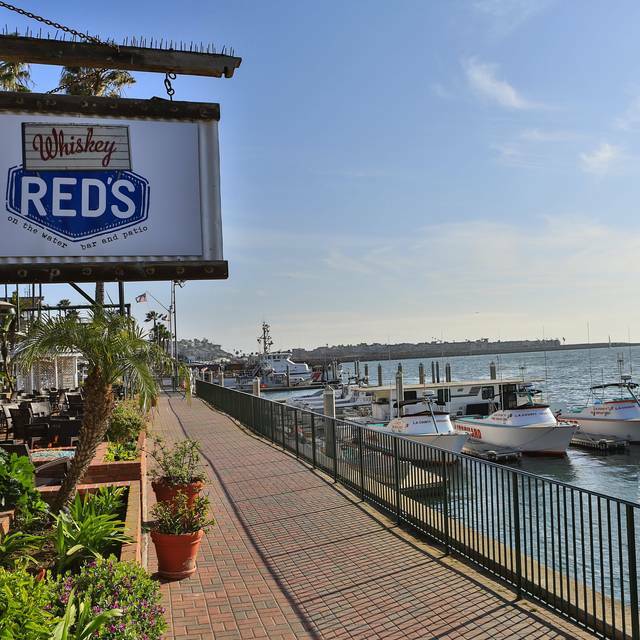 Whiskey Red’s is the hottest spot to cool down with the largest waterfront patio on the marina. Join us for our NEW Saturday Experience featuring our a la carte Brunch menu from 10am-3pm. Please contact the restaurant for reservations over 12 guests. Lagunitas IPA, Lagunitas Brewing Co.
Join us for our Easter Champagne Buffet! Adults $59.95 Children $29.95 Regular menu will not be available. The location was great. Food was good however it needed a bit more flavor. Service was slow even though the restaurant was not busy. Want to go in the evening and sit on the patio and watch the sun go down- It seems to be the perfect spot for this. Overall good, would recommend. Need to up the number of servers + improve the food quality. Menu is fine, just poorly executed. Servers were friendly just swamped. Amazing setting - just need to up food quality and service level - all the best! If you're staying in the area then its not a bad place to eat. We went with a group of 4 for a birthday party and sat on the patio near the fireplace, which was very nice. The service was very slow and forgot to bring our drinks to the table twice. We ended up only having one drink as the waiter only came back every 40 minutes. We asked if we could get a dessert with a candle for our friends birthday and they never brought it nor brought the desert menu when we asked. We ended up just getting our bill at the front and leaving because our server never came back. Definitely wasn't a good spot to celebrate a birthday. Location is nice, food is ok, unfortunately I cannot say the same of the service. Very slow but also not at the level you expect from a nice place! The food menu is too limited and the taste is bland. 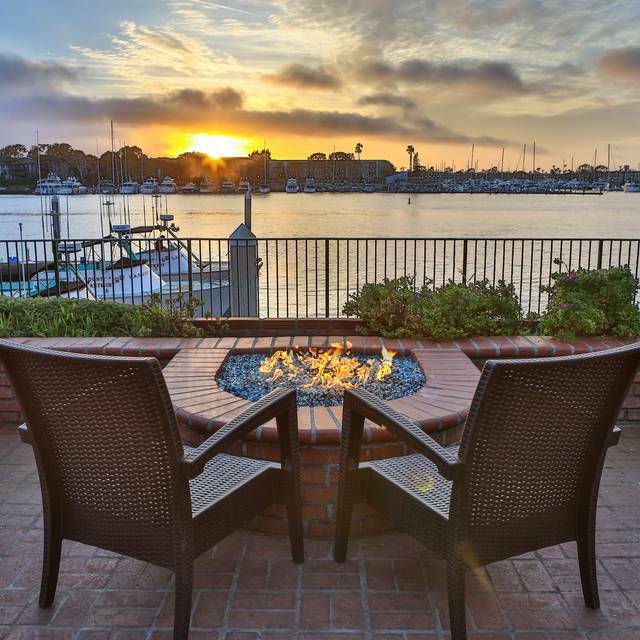 Although, the location by the Marina is beautiful so, it is a great place to have nibbles and drinks with friends, especially at the outside tables/couches. They also validate parking - a big plus. Have been coming here a long time. First time for Saturday brunch and enjoyed it very much. Fish and chips are really good. Food quality has gone down since the last time I've been there. Our server tried really hard to keep up with the patrons but there was only one of him taking care of a huge area. Food was mediocre. They view was the only saving grace. I have been patronizing this establishment for several years. This past Sunday was awful. The waiter service was poor because they did not have enough working that day and the food was terrible. The valet attendant is gone and so are the coy fish. The manager did take some money off of the bill acknowledging that they were having a bad day. I will probable not return. Great location, ambience and service. Limited average food selection, mostly mexican. Poor overall value. Views are the ticket. Drinks were great. Food was slow and the service was professional and polite (especially good helping my friend with gluten allergy) but also slow. The restaurant was not crowded. Great place with a gorgeous view. Even better when the sun went down, they lit the outdoor fires and we sat beside them enjoying a drink. Ruby out did herself again! Even though she was in the big group area, she made room for my date and I and kept the drinks flowing and our table clean. The brunch was very mediocre especially for the $50/person cost. 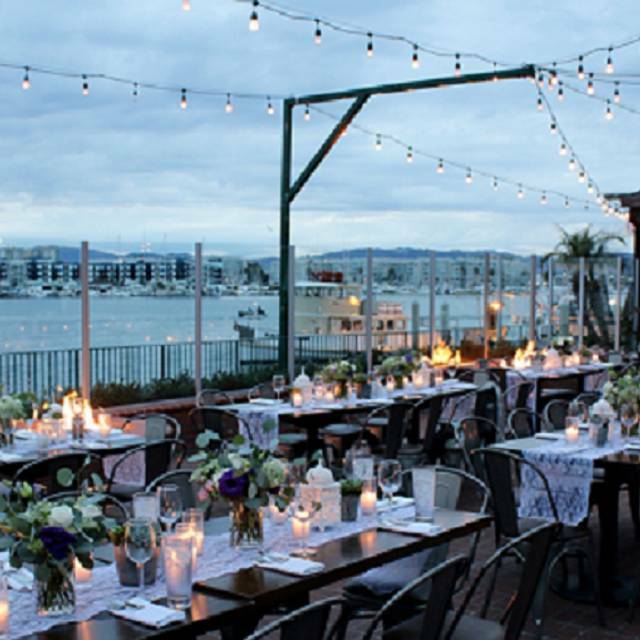 The only great thing about the brunch is that it’s located on the beautiful marina. Other than that, I did not care for it and won’t be returning. You should add a "maybe" to whether we would recommend. The service was great, as well as the setting. Seafood was first class, as was my omelette. However, fruit and dessert was below par. It takes a while for food to get to the table. Other than that...the place was great! Great place by the marina for a relatively inexpensive meal. Service a little slow but very busy Friday night. Definitely will return. We went to celebrate our parents 50th wedding anniversary. They didn’t even mention it. We were seated and waited 10 minutes for a server to come to the table. I told the hostess and she helped. Someone came to take our drink order and then NOTHING happened for ever. We got up numerous times to get ourselves stuff but I had my two kids with me and they were starving so leaving and going somewhere else would be a wait. We then got a new waiter who was nice but after not ordering for 45 minutes, the food then didn’t come for another 45 mins. Brussel sprouts weren’t fully cooked, scallops over cooked, ceviche tasted like soap. Is this place closing? It felt like they just gave up. We were going to do something special at desert for the anniversary but I couldn’t be there anymore. We just missed the Sunset dinner. That is a deal. We had the ribeye and the cobb salad and split both. Did not like the Sofia Coppala rose. Enjoyed sitting there overlooking the water. Free birthday entree is an amazing deal but not offering half off bottles on wine Wednesday when we order 2 glasses and would have saved money with the deal is terrible! I really recommend Sunday buffet. Cost is excellent, food is very good. So, you should book when you go to Sunday buffet! I truly enjoyed visiting this establishment. I was surprised by the ambiance and the outdoor sitting area when you first walk up. It was a very nice experience. Our food was great, the service was superb, and I would definitely recommend this for anyone looking for a great brunch on a Sunday morning. I don't remember the price but I believe we each paid close to $50.00 if not more for the experience but it was well worth it. The only thing I disliked is that I heard they were able to warm the crab legs when the place was Shanghai Reds and now they can no longer do that. It was fine though because they have warm butter at the waffle and carving station. I'm looking forward to returning. Great stuff. Good things. Neat items. Nice brunch along the waterway. Good champagne, fun watching seals and pelicans. Great server Maria!!! Beautiful setting on the marina. Sat inside because it was cold and windy. Took over 5 minutes to have somebody seat us and another 10 minutes to actually get a waiter. Tables near the windows were never cleared - nobody seemed to car. Waiter was fine, but it appeared that the staff was more interested in what was going on in bar area. Not very crowded and I can see why. Limited menu. Waste of a great view. Overall good brunch spot! Variety of food! Great views! First, the front of house staff was at all times very helpful and solicitous. Nothing bad to say about the service. Food and drinks are on the high side for what you get. $16 for 5 medium sized shrimp in the shrimp cocktail. The lobster roll was okay, though the lobster was a bit chewy, and the roll was too much bread for the quantity of lobster. Our dining companions had an allergy to garlic and were *very clear* about this when ordering their hamburgers, but both came with BBQ sauce, which contains garlic. When recooked, the burgers came out well done, rather than the medium rare that were ordered. By that time they were so hungry they ate them. The third burger was ordered medium, and came out medium rare. All three were removed from the bill, but it made what could have been a lovely dining experience more stressful than it should have been. It's a lovely physical setting on the water, but the food should be better. Or cheaper. Or both.